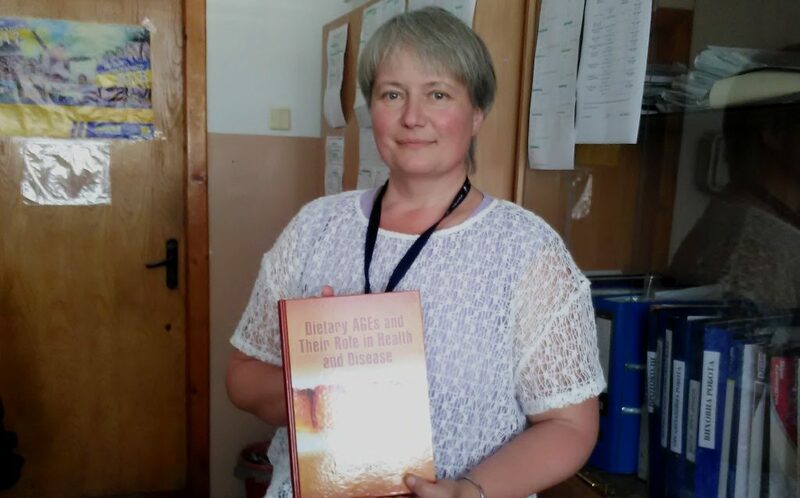 Professor of the biology and biotechnology department, natural sciences faculty, Vasyl Stefanyk Precarpathian National University Halyna Semchyshyn is a single Ukrainian scientist among the coauthors of the monograph ”DIETARY AGES AND THEIR ROLE IN HEALTH AND DISEASE”. The issue has just been published by CRC Press, Taylor & Francis (USA). The book focuses on the impact of glycation products, which are formed in the process of food preparing, on human health. Halyna Semchyshyn is the author of “Chapter 8: Is part of the fructose effects on health related to increased AGE formation?“, which describes the role of fructose in the course of glycation products formation.